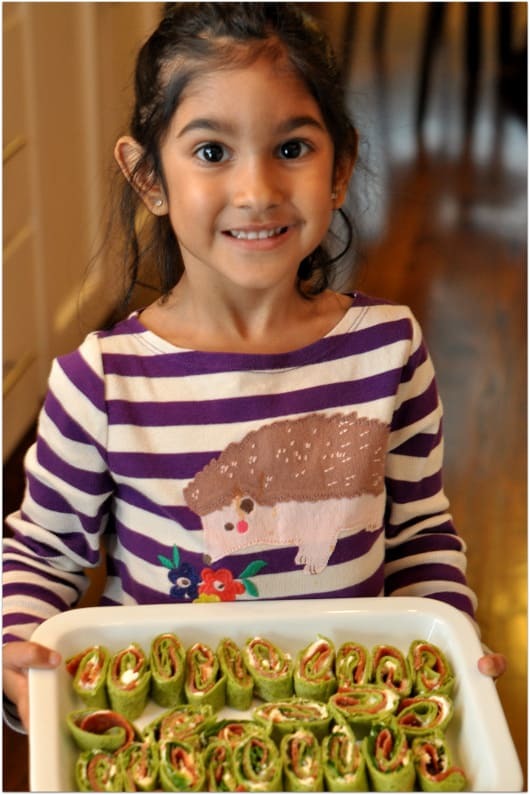 Home»Cooking, Cleaning and More»Adventures in Cooking»Quick, Easy & Fun Dinner Idea: Veggie chips and Pinwheels! Hi this is Pranika! I love to cook healthy food, but I also like to deviate every now and again, and most of the time it’s at least semi-healthy! One of my favorite things at the rodeo is to try the new fried foods they have every year. In honor of anything fried, I decided to fry this week. The catch is it was making veggie chips since I had multiple beets and sweet potatoes on hand. And since it’s Spring Break, (woohoo!) I have a few more minutes to cook – so I have one recipe that is lightning quick and another that’s a bit longer, but no less delicious. My goal was to kick off our spring break with some good times in the kitchen and make some fun, finger foods for the family that were also tasty. I asked my older daughter to Google beet chips and she found THIS great recipe and video that she was happy to make me watch; we didn’t use the recipe exactly, but it heavily influenced what I did and was fun to watch. We were so eager to eat after frying that I forgot to take a final picture of the veggie chips, but they were delicious and almost all eaten up! If you do not have a mandolin to thinly slice the beets and sweet potatoes, then just use a paring knife to slice as thinly as possible. FYI: the thicker the cut, the less crispy the chips. 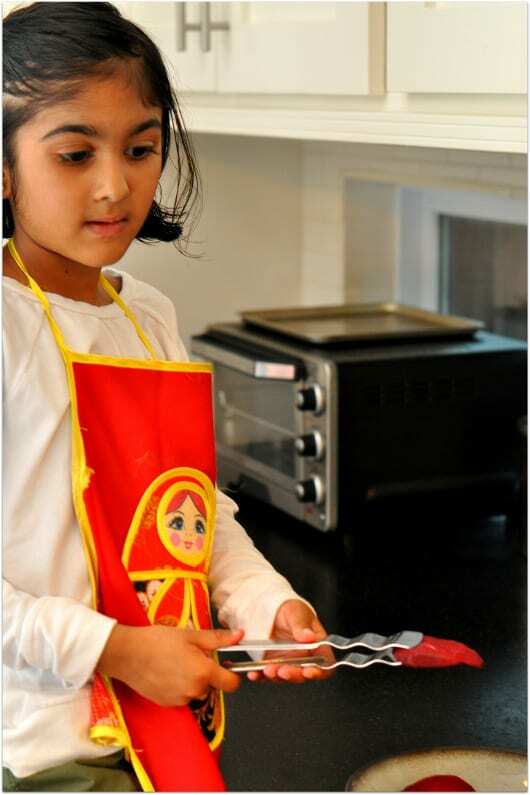 This is a great way to have your kids try beets and sweet potatoes. 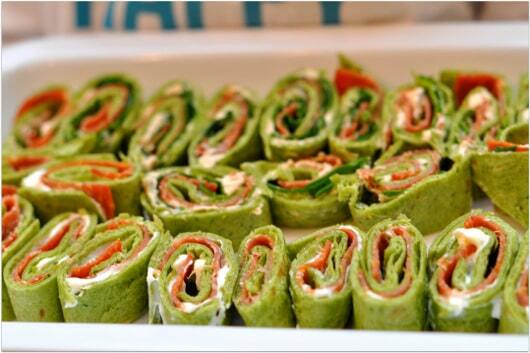 My second recipe is for tortilla pinwheels. I used spinach tortillas, 2 different kinds of cream cheese, uncured pepperoni, and fresh spinach leaves. To make the recipe vegetarian, you can use veggie crumbles, sliced cheese, or thinly sliced mushrooms in place of the pepperoni. The kids adored these and kept asking for more! Happy cooking and eating! I took the spinach tortillas from the refrigerator and heated them for 15-20 seconds in the microwave to soften them up. I spread each tortilla with one of the cream cheeses (plain for 2 and veggie for the other two). Then I placed two slices of pepperoni in each. For the plain pinwheels, I just used pepperoni and plain cream cheese and for the ones with veggie cream cheese, I also placed a few spinach leaves on top of the pepperoni. Carefully roll the tortilla lengthwise and tightly until it is completed rolled up. Cut into bite-sized “rolls” – about 1.5 inches. These are fun, easy, delicious and can travel well too – lunch box idea perhaps?! Combine garlic powder and sea salt to make garlic salt. Heat about 6 cups of canola oil in a large pot over medium heat. 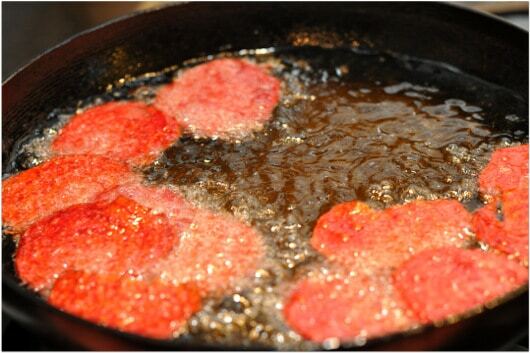 When oil is hot, add about ¼ of the sweet potato slices and fry until color changes to golden and bubbling dissipates. Usually this will take 2-3 minutes. I use a mesh sieve with a long handle to fry and remove the chips; place them on a rack inside of a paper-towel lined baking sheet to let them cool. 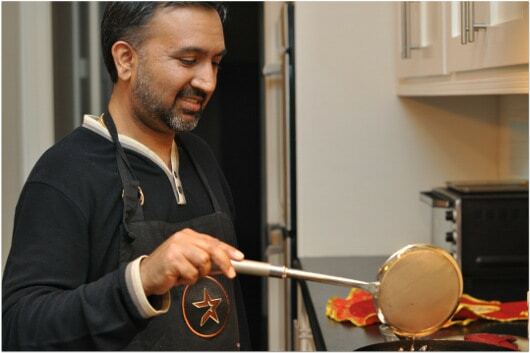 While hot, sprinkle them with the garlic salt and then continue frying in small batches. 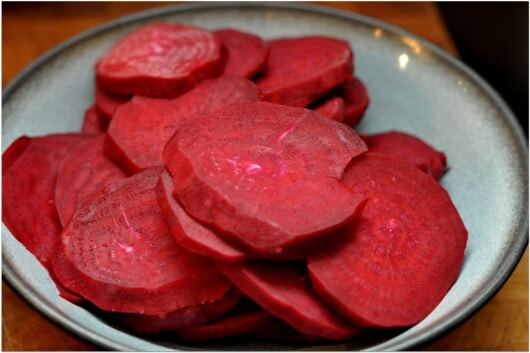 After finishing sweet potato slices, fry the beets in batches. 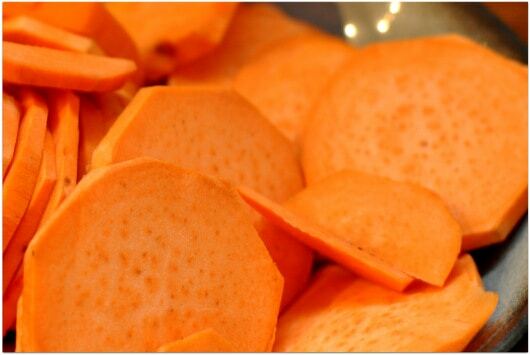 They will fry for a 1-2 minutes longer than the sweet potatoes. Transfer to a baking sheet and sprinkle with the garlic salt. Enjoy! Where in Houston? Trenton Doyle Hancock's "Destination Mound Town" inside the Hermann Park train tunnel!